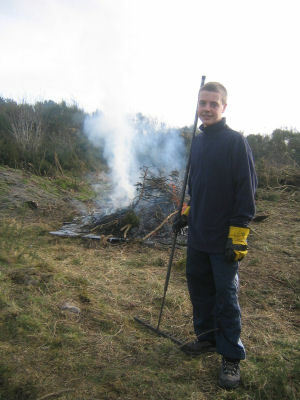 Cadets spent time helping the Aberdeen City Council Countryside Ranger Service clearing and burning gorse bushes which are overrunning several local nature reserves. This was done over several weekends at Kincorth Hill ("The Gramps"), Tullos Hill and Brimmond Hill. They also attended a community volunteer day to help clear the main Aberdeen beach of rubbish. It is planned to continue working with the Countryside Ranger Service during 2008.